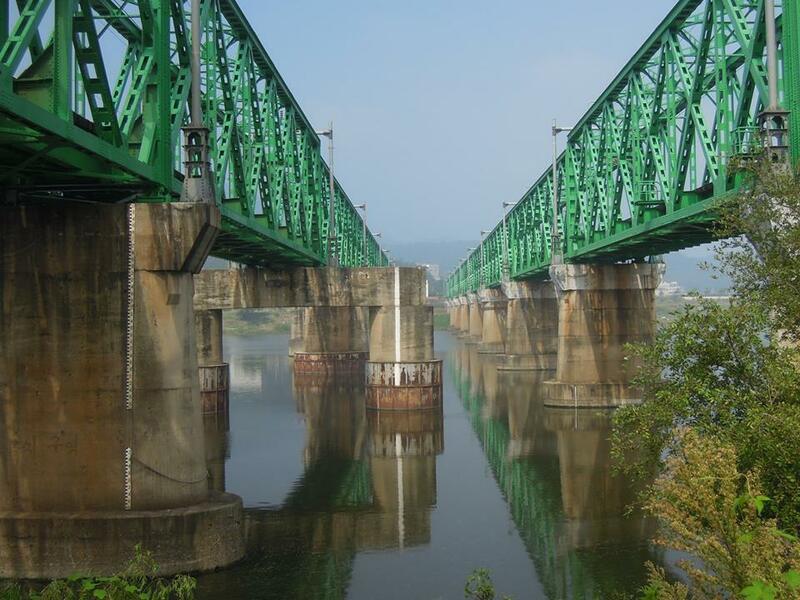 I trundled across the bridge connecting Hadan, my home, and Eulsukdo, an island in the mouth of the Nakdong River. 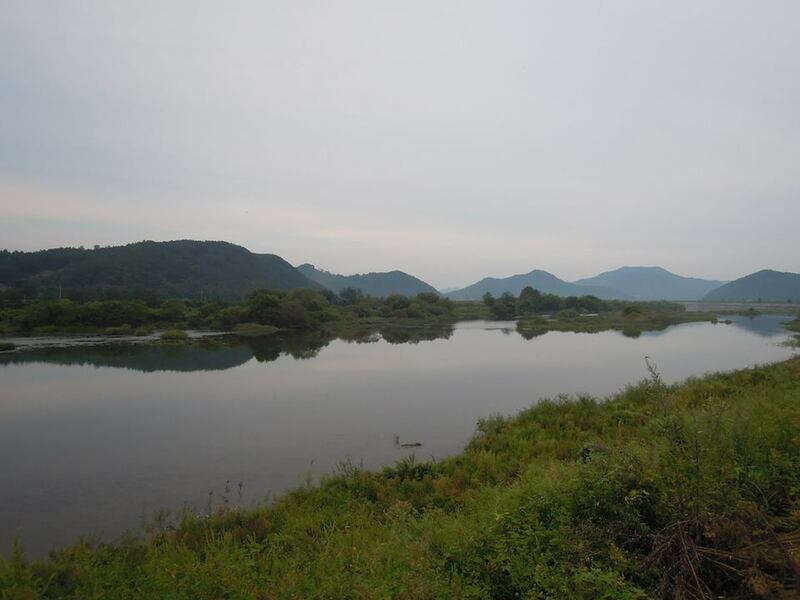 Eulsukdo is many things, a poorly protected bird sanctuary in the ever-developing river estuary area, a private tennis club, a multi-purpose exercise complex and also the beginning (or end) of Korea’s Cross-Country Cycle Road. On this particular Saturday morning the bleak river-mist was lingering with a slight autumnal chill and intermittent light rain was dampening the pavement under my wheels. 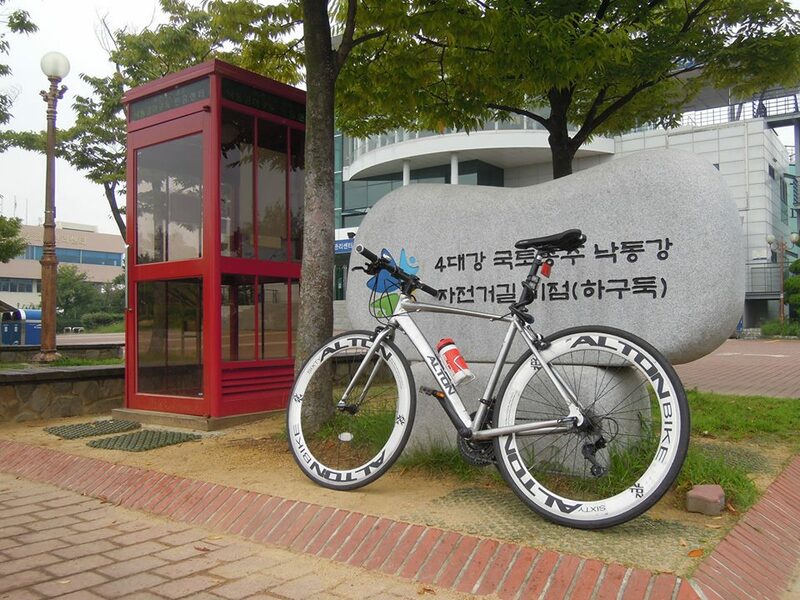 I took a picture of my bike next to the engraved stone marking the beginning of my adventure and stamped the back of my bus ticket home from Seoul (the certification centre at Eulsukdo was out of stock of trail passports). The beginning of the trail is quite familiar to me as I have run and rode along it numerous times over the three years I have lived in the area and despite bumping into a few Ultimate Frisbee friends near Hwamyeong, who were on a similar journey, I made quick work of zig-zagging amongst the early morning weekend cycle path ‘traffic’. 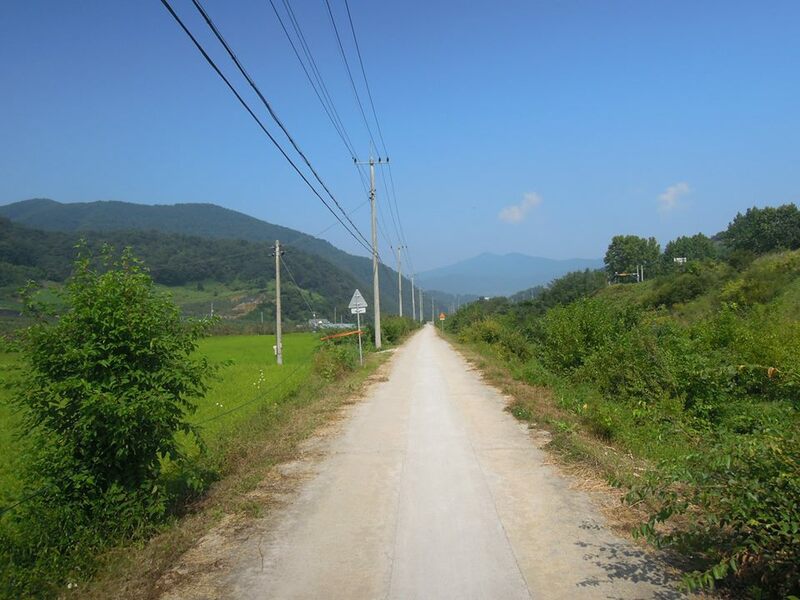 As I left the city limits and flew past southern Yangsan the path cleared and I was soon cycling ahead of the pack (presumably there would be many people attempting the same route). 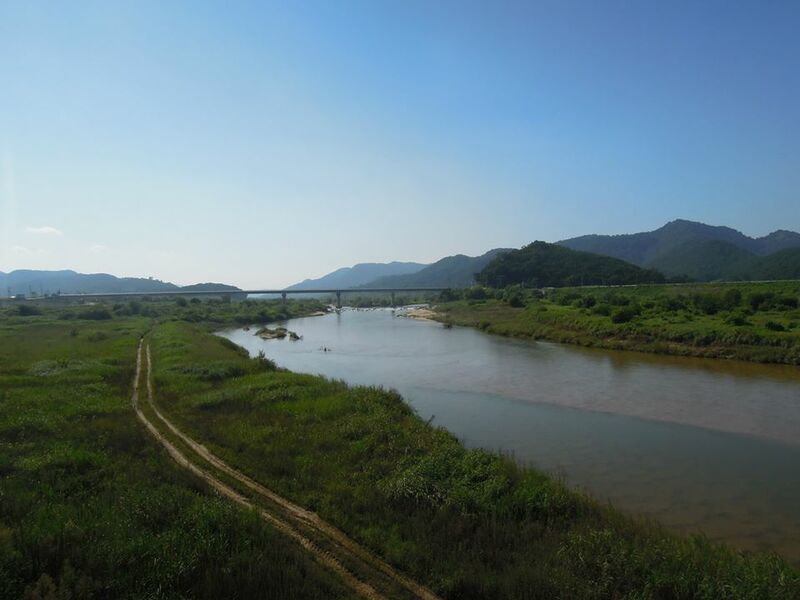 A shade over four hours had elapsed and the first 100km was already in the bank, the path out of Busan is mostly flat, long straight stretches hug the riverbank and are only briefly broken by a few detours along a tributary river and through a few small village roads. The sun was out now, the mist having burned off progressively and the rain having abated a long time ago. At this point my first problem arose. Food and drink. My water bottle was empty and two Gatorades were long gone, I did have an oatmeal bar but that had been hastily munched 20km ago. I needed to refuel. 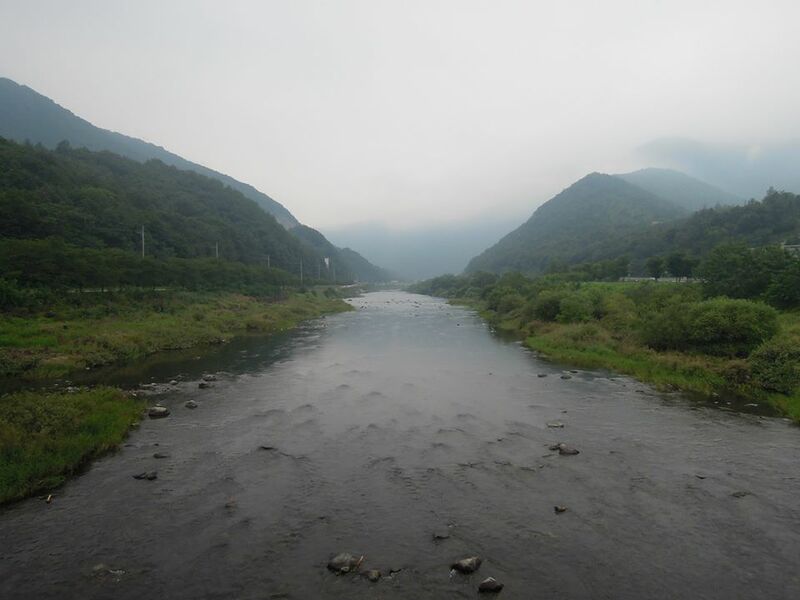 There had been no shops on the route so far and I was relieved to roll into a small village on the opposite side of the river to Namji. There were no viable lunch options, just a bunch of river fish restaurants but I thought that the old lady outside her own convenience store would have some snack bars and some drinks. When I produced my debit card she shook her head and I learnt my first lesson, cash rules in the countryside. I spent my last 1,000원 (50p) on two bottles of water and rolled on. 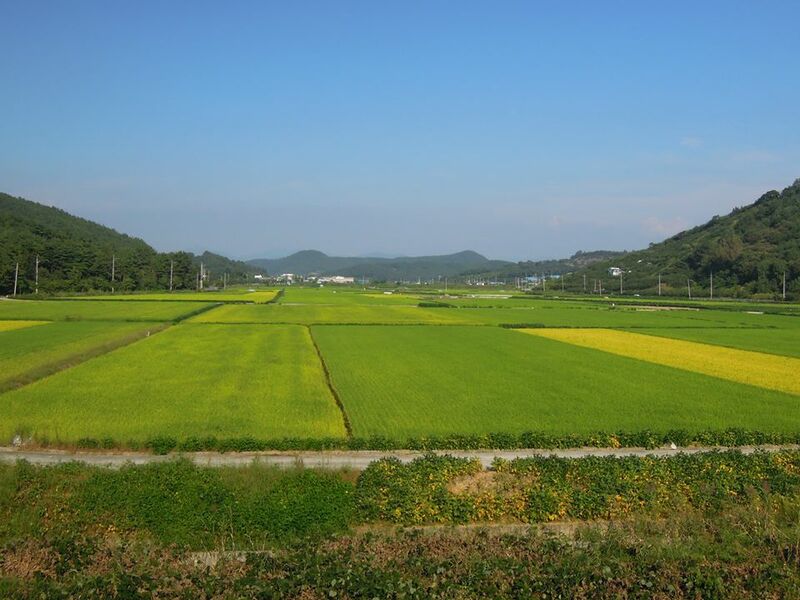 Outside Namji I hit the first real hill as the path wandered away from the river briefly and into the rice-paddies and farmland. The hill was ridiculously steep and the path had given way to dusty and rocky dirt, more dangerous than the ride up was the ride down and my brakes got their first real test. After a few river crossings, another steep, but fairly short hill, and a further 45km I finally found somewhere to buy some food at Hapcheonbo. I have never been so delighted to see a chain convenience store than when I rolled across the bridge from the west bank to the east bank, I even gave out a slightly aggressive shout of relief. After purchasing enough water and gatorade for the day I sat down on a picnic table outside and had some noodles, cookies and an ice-cream. A little later a well-cycled Korean man rolled in and we chatted about our journeys and he enjoyed a little giggle at my expense as I recounted my personal drought. 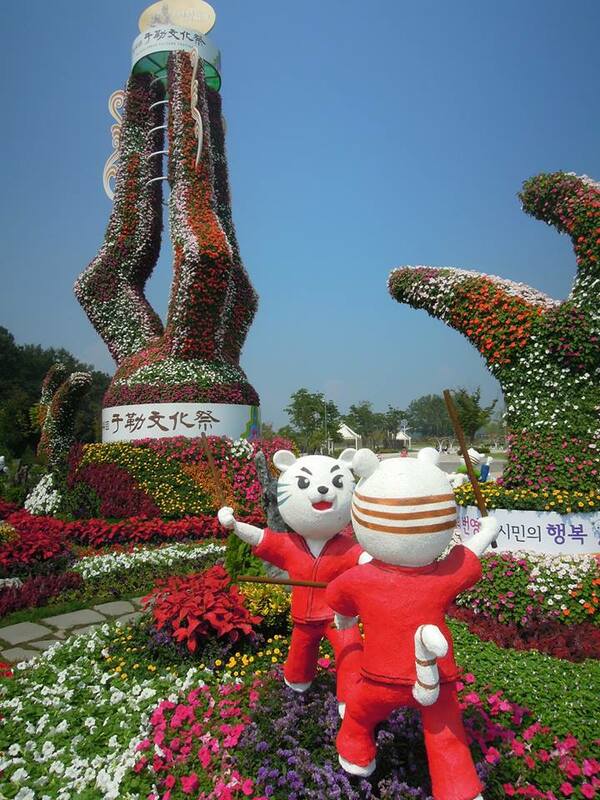 After Hapcheonbo I made my first navigational error. The trail signs appeared to invite me to travel over another sharply steep and poorly surfaced mini-mountain and where the end of the descent appeared to rejoin the river bank I somehow confused the trail signposting and I headed inland. 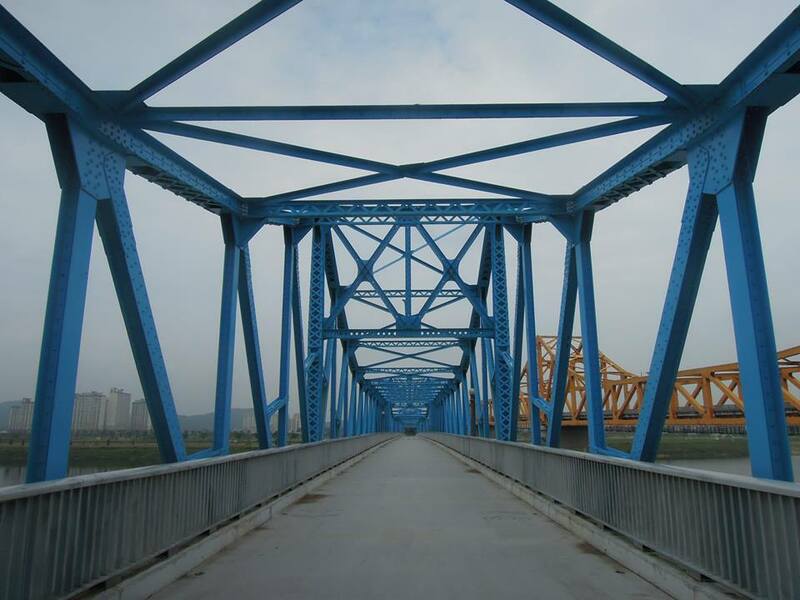 I was bewildered to see the six sharp towering points of the Hapcheonbo bridge reappearing in my horizon and it was then that I realised I had circled around the base of the small mountain I had just unnecessarily climbed. The cost of my mistake was an extra 11km and my second snake encounter of the day (Snakes, equally dead and alive were a frequent occurrence during the trip). Having just made one mistake the last thing I wanted to do was make another, but this is exactly what I did. 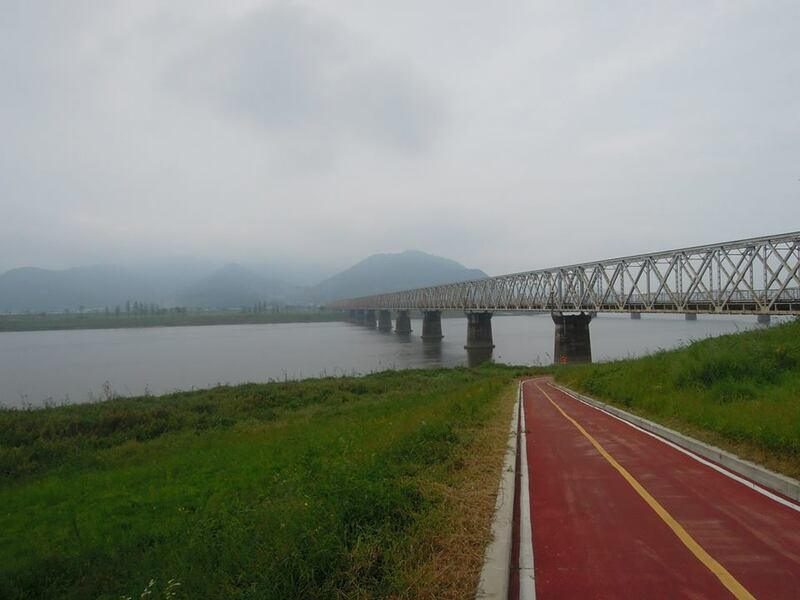 At another bridge crossing further up the river the signposts appeared to invite me to cross the river, and technically I was still on the right path when I did, (many parts of the trail can be ridden on either side of the Nakdong River) however I was now about to embark on a 12km mountain bike path. As I suffered on the rocky, sandy, muddy mountain bike trail, bordered by ditches, trees and drop-offs, dipping and falling over insanely steep inclines and narrow tight corners I gazed longingly across to the very visible east river bank and the smooth snaking path. As I reflect, I remember passing the surprised luminously adorned old man who I met at the convenience store (he must have passed me as I took my unnecessary detour a few minutes earlier) and him ringing his bell several times as I began to cross the bridge. What I had thought was friendly bell-ringing was probably a ‘where are you going you idiot’ bell ringing. My bike and I survived the mountain bike course, my narrow racing tyres scampered for grip a few times and I nearly came off when I hit some sand at the bottom of a decline. 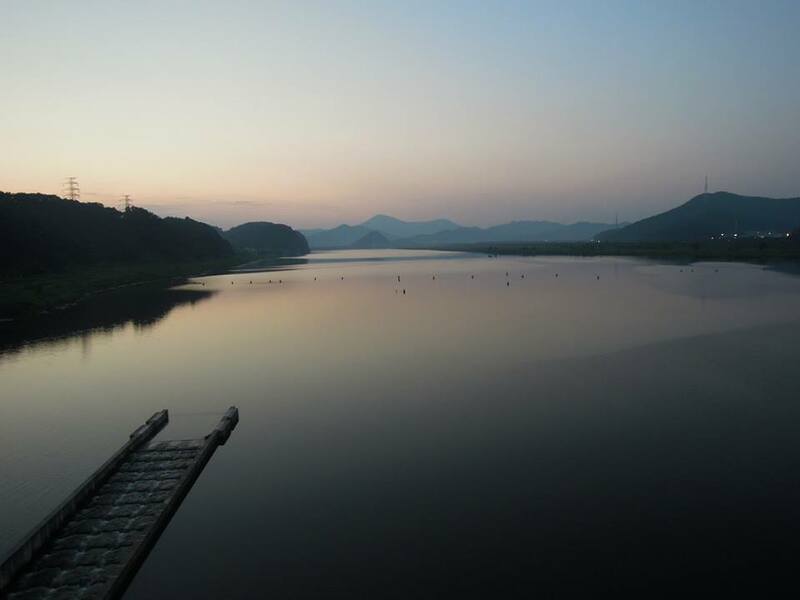 The light was beginning to fade and I made a concerted and committed effort to get to Daegu. The last 10km of trail threaded through some riverside reeds and I managed to miss out on a stamping booth and ultimately I decided to just not bother collecting them, especially without having the passport. I reached Daegu just after darkness descended and my final blow came in the form of a puncture as I navigated my way to a motel area on the west side of Daegu in Horim-dong. I checked into the very plush but reasonably cheap Wave Motel and fixed my puncture in the bathroom. Feeling famished I walked across the road and had samgyeopsal by myself. The lady owner informed me the minimum order was a serving for three people (this is common in barbecue restaurants) and I told her in my broken Korean that would be perfect. She and a few of her friends, the only other diners, were interested in the reason for my appetite and I explained my trip. Seeing how bushed I was she sat down and cooked the food for me at the table. A pretty good end to a grueling but ultimately successful day. 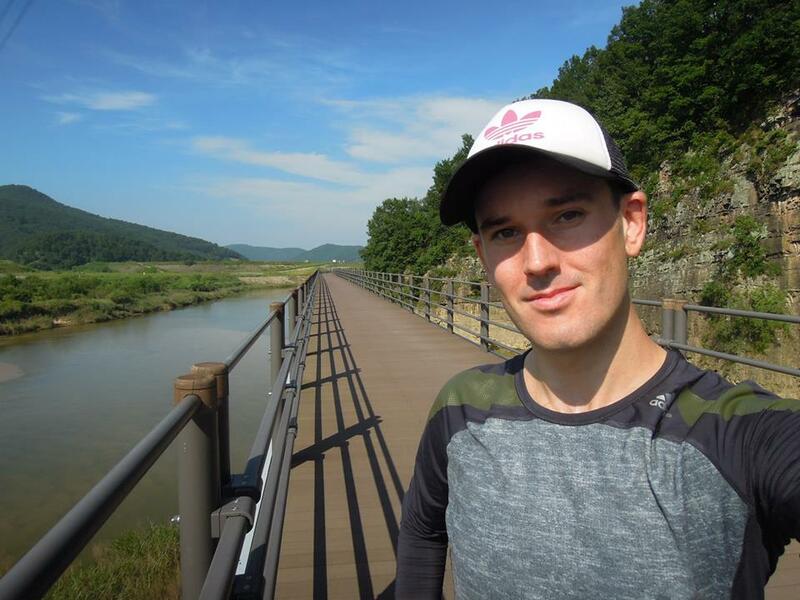 I took a bit of a lie-in and headed out around 10:00, a local cyclist helped guide me back to the trail in the morning and although my legs were feeling a little fatigued I soon found my rhythm on the ride out of Daegu. For the first 30km or so I rode with a young Korean lad on a very fancy racing bike and without speaking a word we somehow managed to organise a complimentary slip-streaming effort. We sped along the tarmac pathway and disturbed a sunbathing viper, well he did as he ran over it. I think he didn’t see it to be fair and he looked a little surprised as his tyres briefly jumped. Another snake to add to the roadkill total. 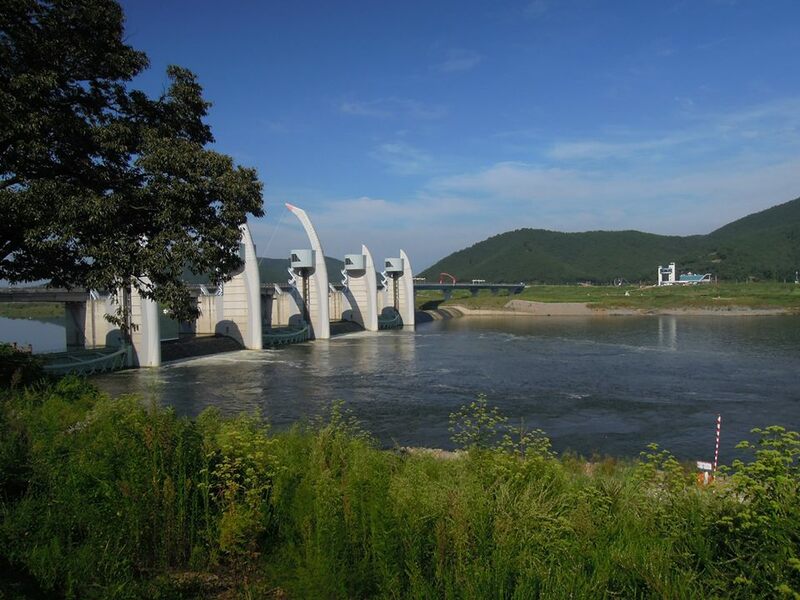 After passing another of the numerous Nakdong river weir system and bridges we parted company and I pressed on ahead. The path was quite generic during the morning and the monotony was only dispersed by frequent stops to ensure I was fully stocked on water and Gatorade, (which I was now sick of drinking) the sun was out in full-force today and I didn’t want to be caught-short again. I stopped for lunch at Nakdong-ri and the kindly owner gave me some dried persimmon to boost my energy as he accompanied me in the shade and quizzed me on my nationality, age etc… and gleefully informed me about the hilly section ahead of me. I consumed a refreshing ice-cream and left him behind to deal with an SUV full of excited children. True to his word the next 30km were hilly, the cycle path often gave way to roads with light traffic and I weaved across the contours of the terrain and over the river several times. 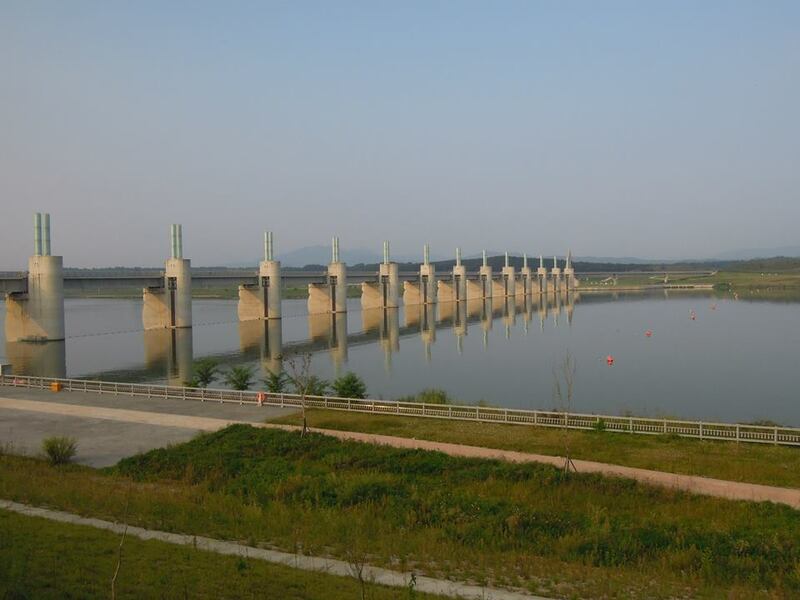 It was during this time I noticed my chain was a little dry and I was considering getting some oil when I had a chance, but being the first actual day of the Chuseok holiday, as well as a Sunday I felt my chances would be limited, especially with no settlements in sight. Oddly enough there was a bicycle museum shortly after Gyeongcheon Bridge and despite the grounds being packed with kids on hire bikes it appeared the workshop was closed. I carried on, hit a really hilly, dusty gravel section and my front derailleur promptly collapsed into the chain ring. This was a problem, and as I tried to fix it with my minimal multi-tool and a pathetic adjustable spanner the problem became greater. Even a couple of lads heading in the opposite direction couldn’t help me and I decided the only course of action was to walk, and coast the downhill sections when possible, back to the bike museum. 4km later in the searing heat I arrived at the bike museum and explained my situation to a receptionist, she took me to the mechanic, a slightly uncomfortable young man who explained to me they only fixed punctures. At this point I could see into the bike hire workshop and perfectly visible was a bike stand and a ton of tools, with no other options at my disposal I essentially verbally forced my way in. He eventually came round and even helped me with the tricky process of resetting the derailleur height, tension and alignment and as we both sweated and pulled on cables and loosened and tightened parts an old man came along and ensured he criticised everything we did. With a generous spray of oil and to the relief of the mechanic and myself I returned to the trail and re-did the 4km of rolling forest hills. 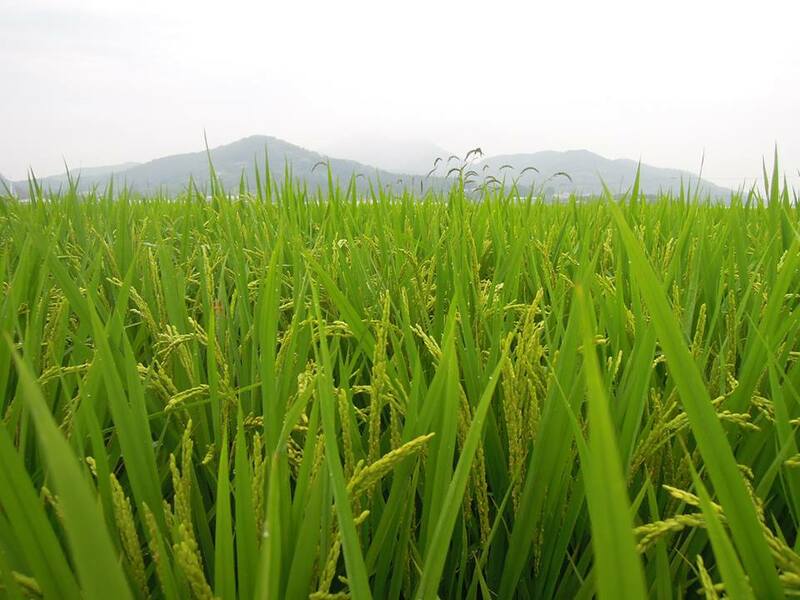 The following 35km were a pleasant burn through rice-paddies and along open and clear riverside paths. I sped along with a little unease, frequently glancing between the suspicious signposting and my untrustworthy derailleur. 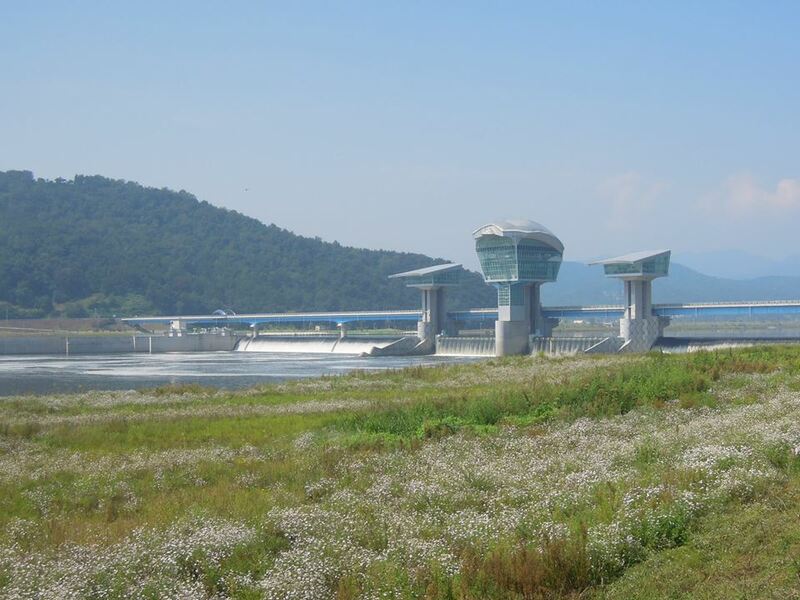 Shortly before I rolled into Moongyeong City I had passed two western riders and as I sat by the riverside park in Moongyeong City contemplating if I should carry on or pick out a motel from the ones I could visibly see behind a train station they also stopped close by. Looking at their very professional equipment I thought it may be a good idea to seek their advice and after looking at my smartphone map app and their Garmin computers we all came to the conclusion that here would be a good place to stop for the day as there was a major mountainous section ahead that would be best left for tomorrow. After rejecting one grumpy lady’s motel we checked into another one. After taking a shower and bumping into PVL, a friend of some friends that I have met a few times, and who had ridden with Dan and Kelly the previous day for a short while, we headed out to eat some dinner. At a dalkgalbi (spicy chicken and veg) restaurant they shared their experiences of riding all over Korea and I was grateful to get some good information on some of the trails ahead. After a plentiful meal and some good company I was delighted to get an early night. Dan and Kelly planned to leave at the crack of dawn but I was much happier to sleep until around 08:00, I bumped into PVL again in the motel lobby, he was having problems trying to find somewhere to get breakfast, we exchanged numbers and said if we were in the same town later we would grab some dinner. My first call of business was to purchase plenty of drinks and some sunscreen to protect what was now a badly scorched neck and set of knees. I rode the short way back to the path and set off into some lush farmland areas that led to an ever increasing and ominous mountain range. 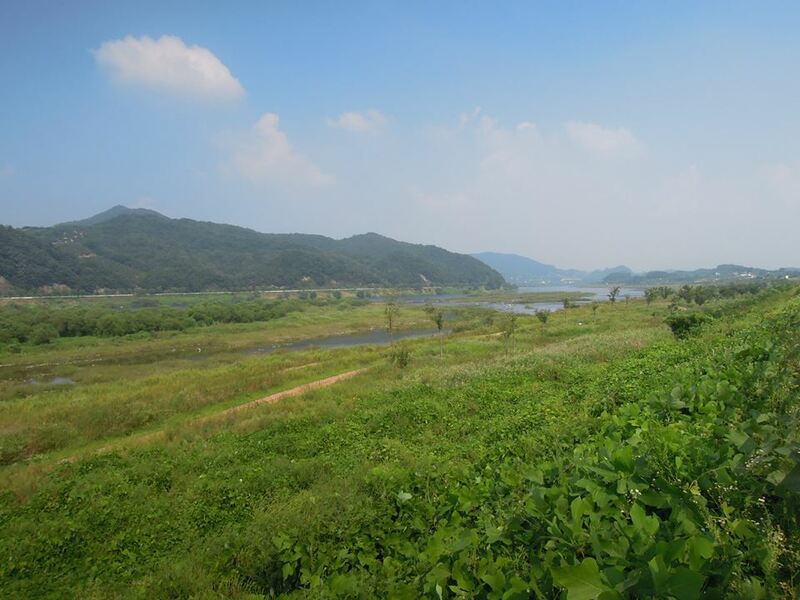 I was now on the Saejae Trail and had left the Nakdong River behind me yesterday. 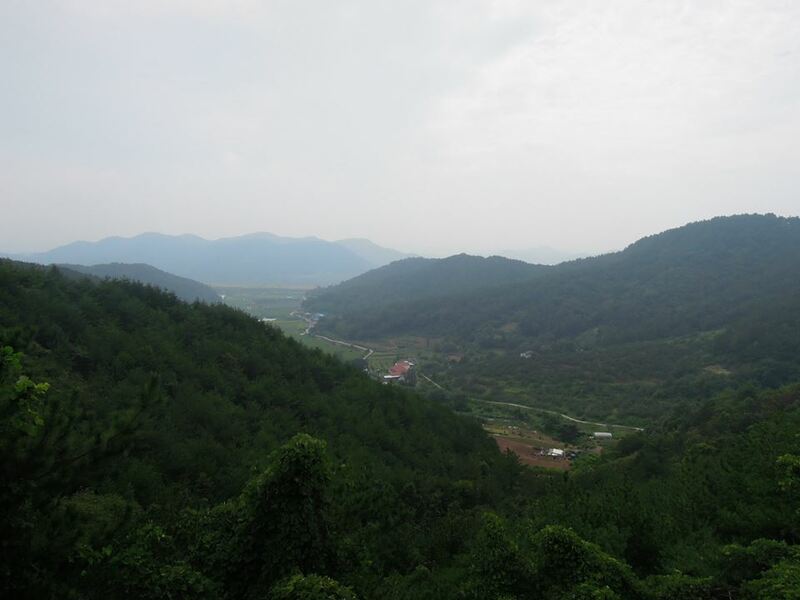 The Saejae Trail is notable as it crosses Moongyeong Saejae Provincial Park which is part of a series of mountainous parks that form a distinct ridge dividing the country in half. 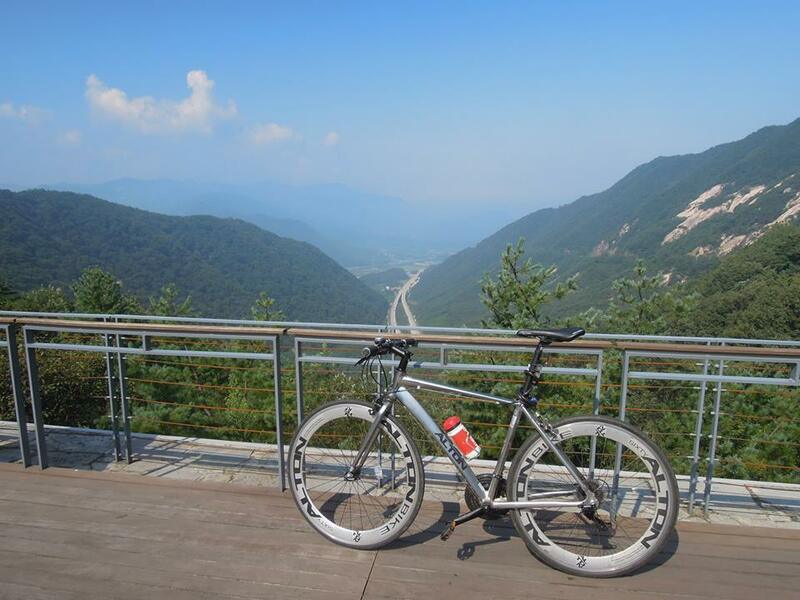 The 100km Saejae Trail is highlighted by the 5km long and 550m elevation climb of the Bakdudaegan Ihwaryeong Pass, after 30km of gradual incline, snaking between fields, riversides and small valleys I hit the climb head on. 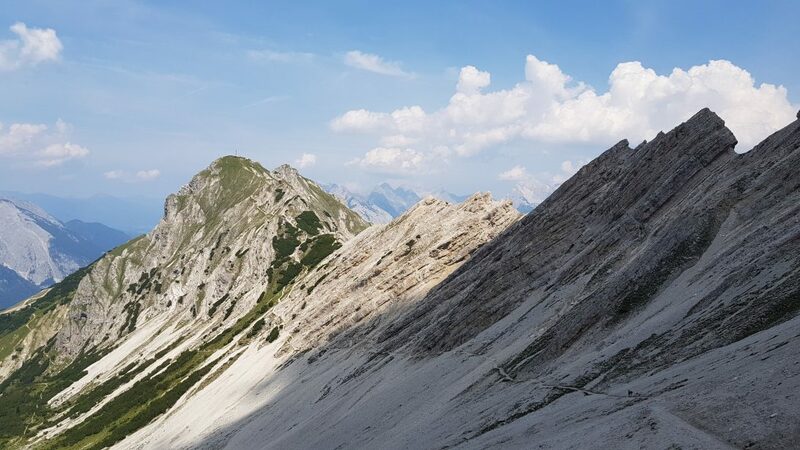 With the distance of the last two days hanging in my legs I was impressed that I manged to climb over the pass without taking a break, at the top of the pass I was congratulated by a young German lad who was heading the other way and took some mandatory self-pride photos. The descent was smooth on the wide twisting tarmac road and I was only fearful of my brakes giving out when they made the occasional disgruntled squeal. Another steep but slightly shorter 3km climb followed and after that the road eventually steered itself out of the mountain valleys and into scorching hot Chungju. 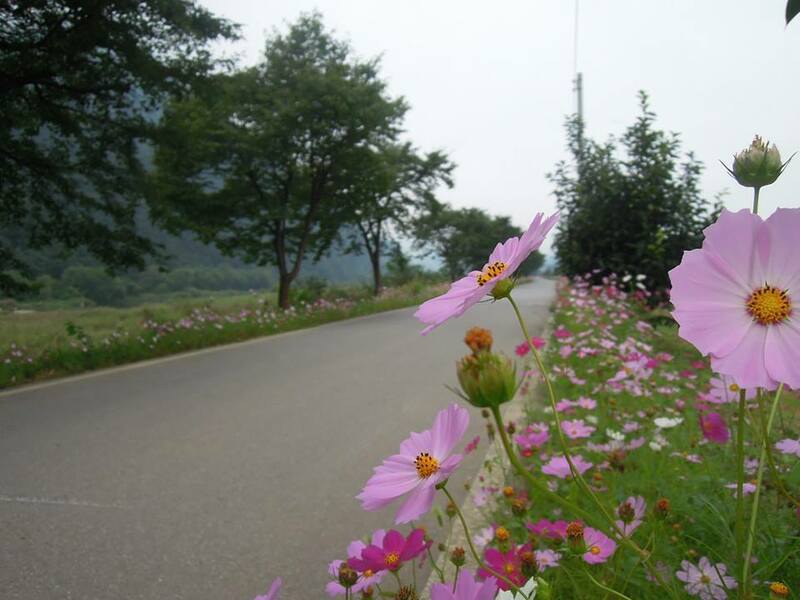 Today was the main Chuseok holiday day, the route was noticeably quiet and I mostly encountered families who were out at the roadsides to tend to their families mounded graves, a traditional aspect of Chuseok holiday festivities. 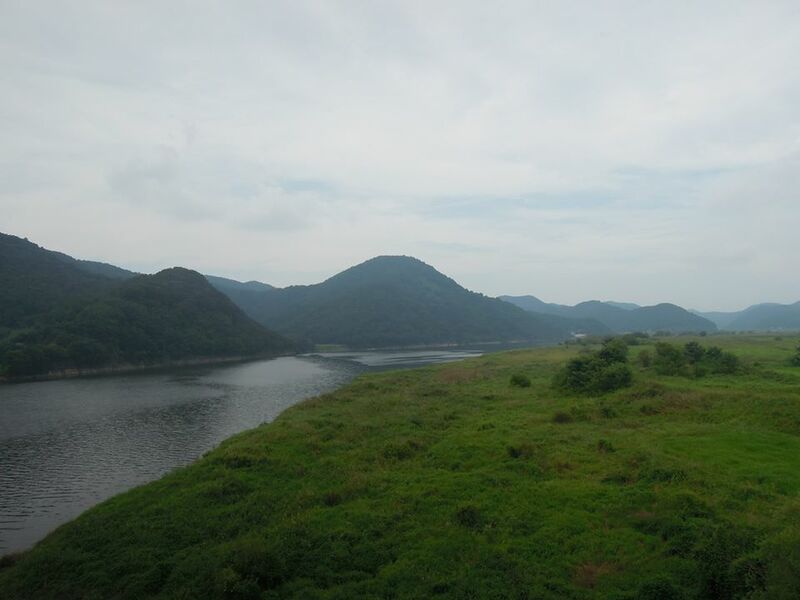 Chungju marked the end of the 100km Saejae Trail and this is where I joined the Namhangang Trail (South Han River). 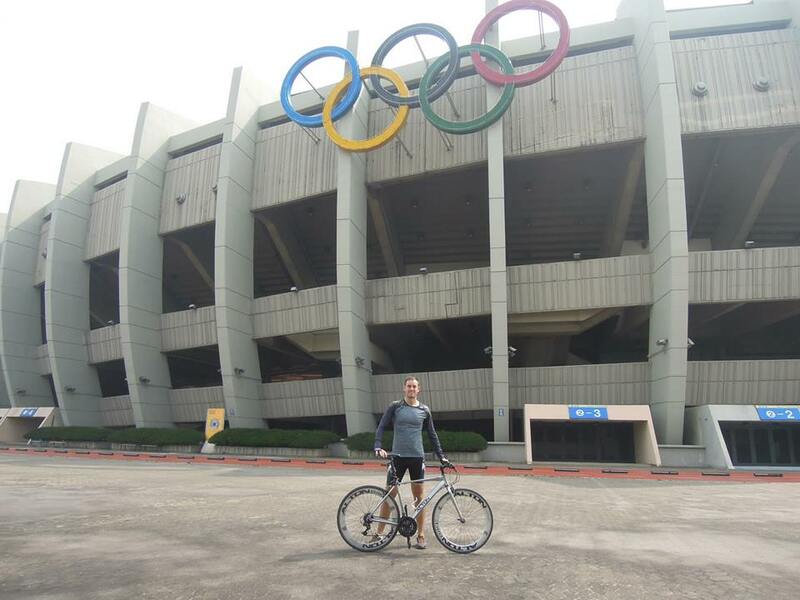 This was a big psychological boost, the big climbs were behind me and the Han river of course leads to Seoul. At a quiet bike trail cafe just after leaving Chungju I grabbed some dumplings and water from a kind lady and her family who also shared some of their Chuseok holiday treats with me and then set off along the scenic trail north towards Yeoju and hopefully to Yangpyeong where I wished to spend the night. Although I was hurting a little today, a culmination of the previous two days efforts and the mountain climbs in the morning, the consistent pathways and lack of significant elevation after the mountain pass ensured I rode at a good speed throughout the afternoon. 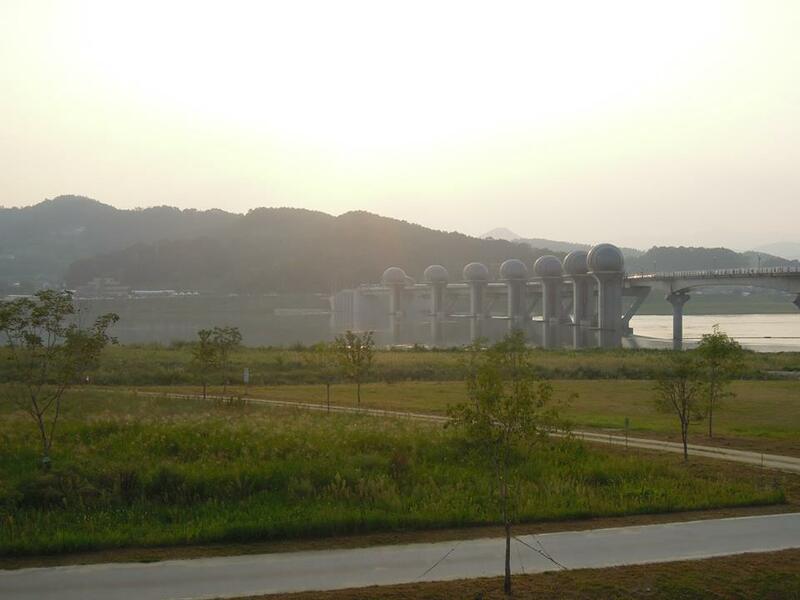 Coupled with a day of no mechanical issues and some more considered navigational choices using both signposts and Naver Maps (a Korean version of Google Maps) I really enjoyed my afternoon spin to Yangpyeong and arrived just before the sunset. 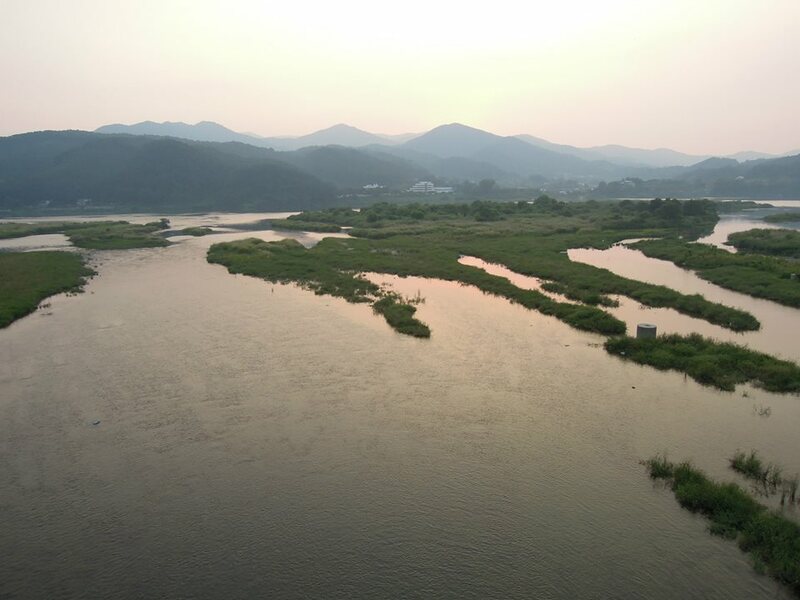 The scenery along the South Han River was at times breathtaking and the suns low late evening light highlighted the horizon and river waters beautifully. 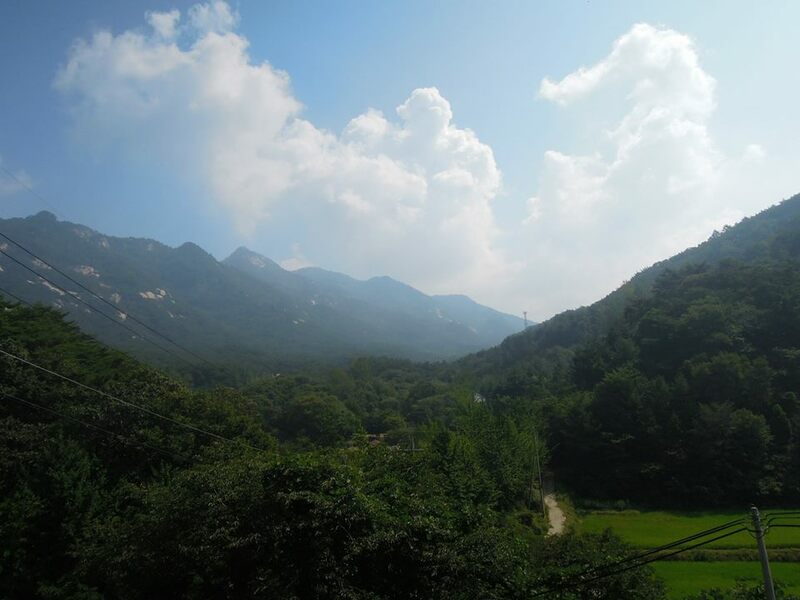 In Yangpyeong I took a diversion from the path into the town centre and despite being rejected by one grouchy motel lady who did not want my bicycle inside I soon found one nice lady who did. I showered and bought myself some oven roasted chicken from a nearby take-out and refueled while watching Skyfall on a movie channel. If it wasn’t for my mishaps on day one and my mechanical issues on day two I think I would have reached Seoul the previous evening. In the end I had to finish the last 56km on Tuesday morning. 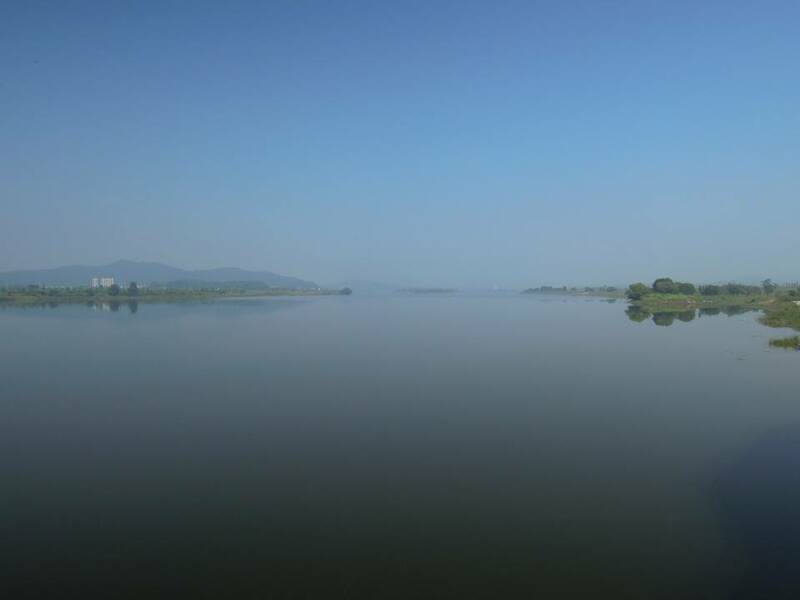 I had considered carrying my journey onto Incheon originally, but now that I wasn’t collecting the stamps for the passport there seemed little point to cycle 60km just to see the depressing brown estuary waters of Incheon. 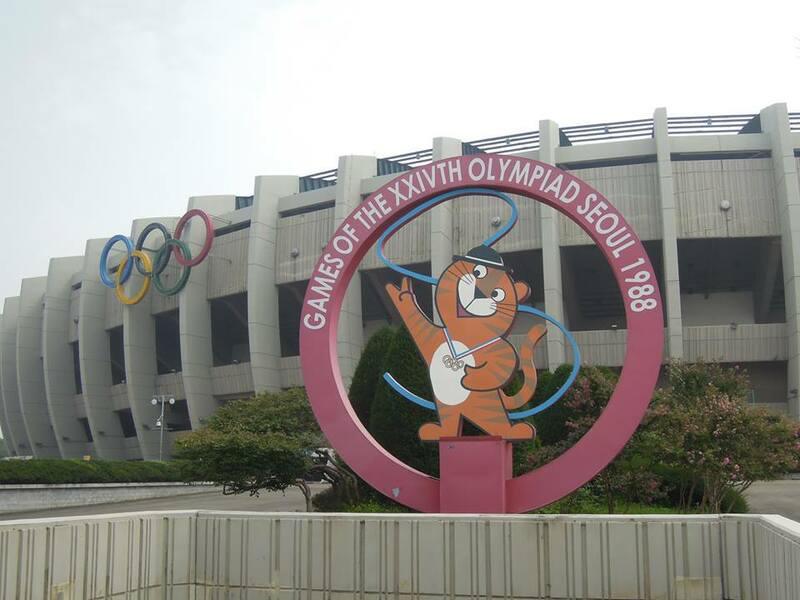 I left Yangpyeong around 08:00, as I had gone to sleep so early the previous evening, and this meant I completed my journey at 10:30 at the 1988 Seoul Olympic Stadium. 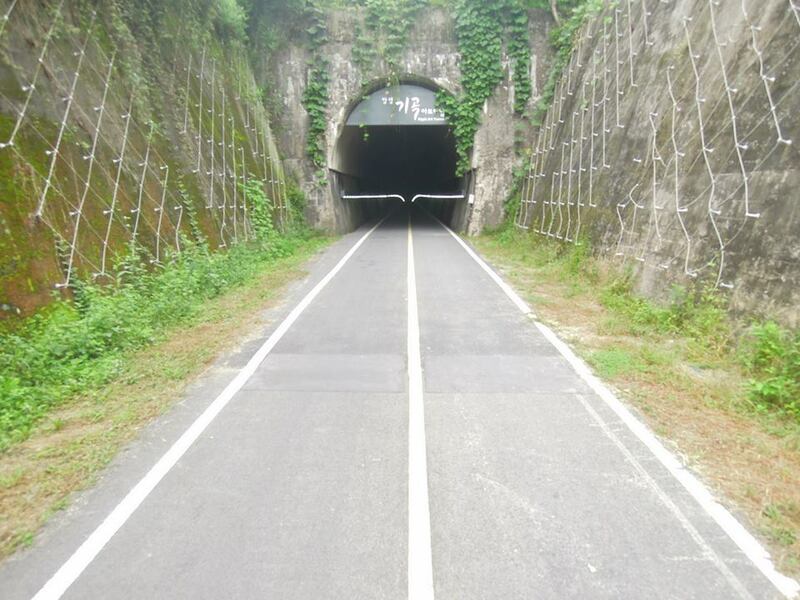 The morning began in fine fashion as I zipped along an old railway line, flying along the tunnels burrowing their way under small valley peaks. As I approached Seoul the trail noticeably grew busier, local riding teams were out in their team colours and inexperienced riders and random pedestrians did their best to meander and wobble in front of me. After all I had been through the previous days this was probably the most dangerous section! It was also here that I was overtaken by someone for the first time, four times in fact! 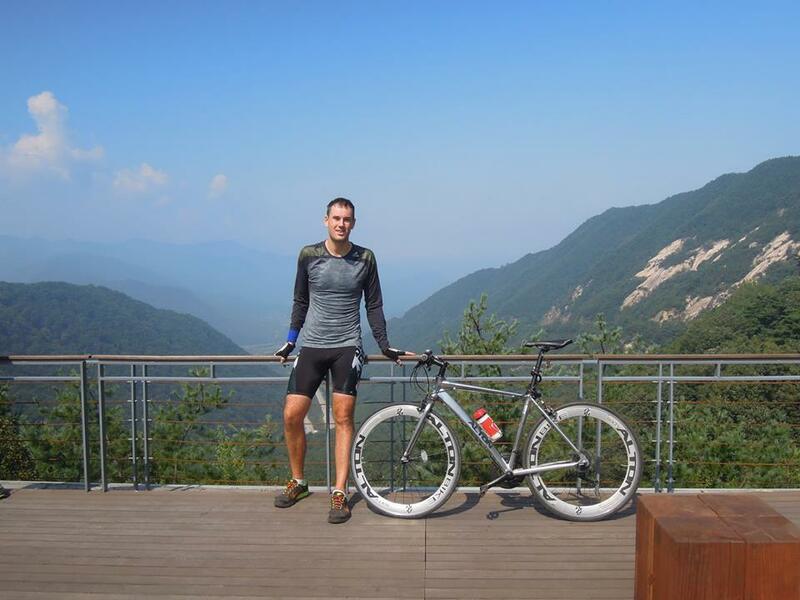 The journey was not a race but I was delighted at the pace I could keep along the way, especially considering I was on a cheap Korean version of a hybrid bike. By the end I completed the journey over three days and two hours on the fourth morning. With the help of today’s modern smartphone tracking apps I can tell you this was a total of 26 hours 20 minutes and 54 seconds of riding time covering 585.3km at an average speed of 22.2kmh and climbing 6276m. Good, average or bad I don’t know but I’ve never felt a greater sense of achievement. Having a good chunk of spare time remaining on the holiday period I scooted over to an area of Seoul near DongSeoul Bus Terminal where I would depart the following evening. I checked into a motel near Konkuk University on the edge of a lively area and spent the afternoon and evening with my Korean friend Dia, most of which I spent feeding food to my famished body. 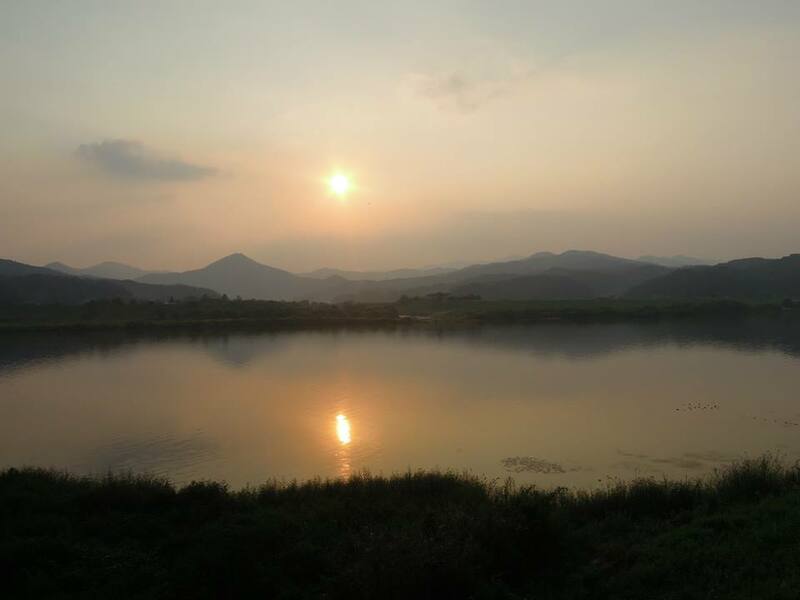 I enjoyed a true holiday lie-in until 11:00 the next day, I checked out of the motel and the kind lady locked my bike in a store room while I went off to meet Luke, a friend from when I lived in Changwon. We both played football for the same team a few years back and we visited Japan two summers ago. We spent the afternoon catching up in Itaewon, a popular foreigner area which has fortunately now left a better memory on me than the last time I visited there a few years back. We had a decent burger at Gecko’s and had a few pints in the afternoon sun at the Crafthouse and Magpie Brewing. We grabbed the subway, Luke went off to work on his thesis and I cruised my bike along the busy Seoul pavements to the express bus terminal. I shoved my bike in the storage area under the bus and chatted to a lovely old lady from Daegu for twenty minutes before the bus set off. Just to crown a perfect trip the bus pulled into Nopo station in Busan early and I caught the last subway home rather than having to cycle 20km across the city at midnight. What a journey, what an adventure, if you are reading this thinking about if you should take this cycling trip I implore you to do it. < The Ryukyu Islands, Japan. Glad you got back in good time. 🙂 That Dakgalbi however was a bad choice of meal. 🙂 We cut to the North West to save some time. Ended up winding our way through Chusok traffic. oops. Thanks for the great writeup, Gareth. I am thinking of doing the ride from N to S in the coming future, but wonder about the heavy traffic in Busan itself after the trail ends. 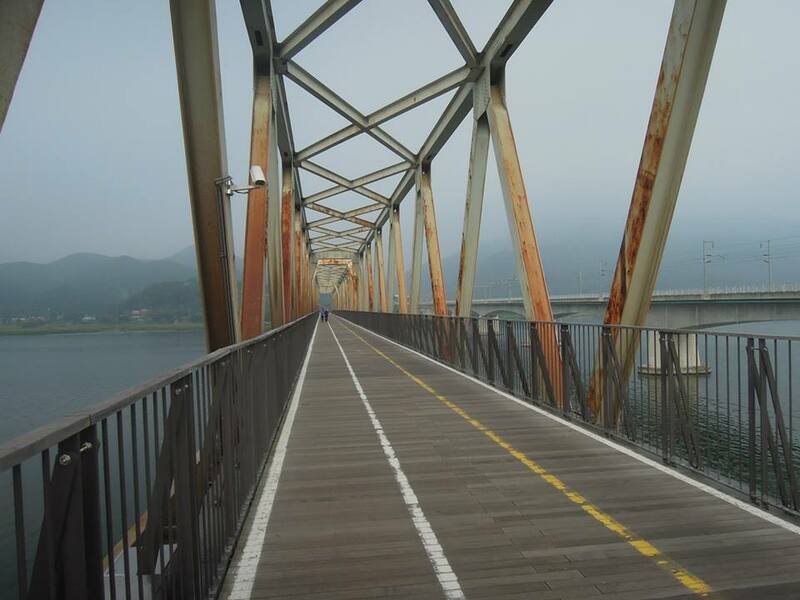 Can you suggest a route from the trail end to Busan station? Thanks! Hi, Bill. From Busan Station there are no quiet roads I’m afraid. Busan has very heavy traffic and the roads are very poorly planned. 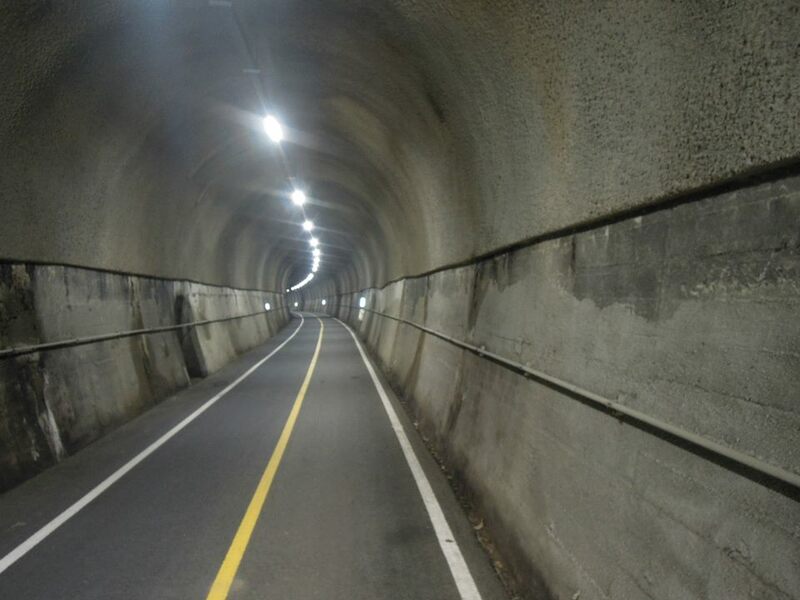 To get to Busan Station you would either have to go through a busy road tunnel (the main route) or go over some backstreets over a mountain. My recommendation would be to get the subway. You can put your bike in the rear car of Busan’s subway trains. Supposedly only on weekends, but I regularly see bikes there on weekdays. 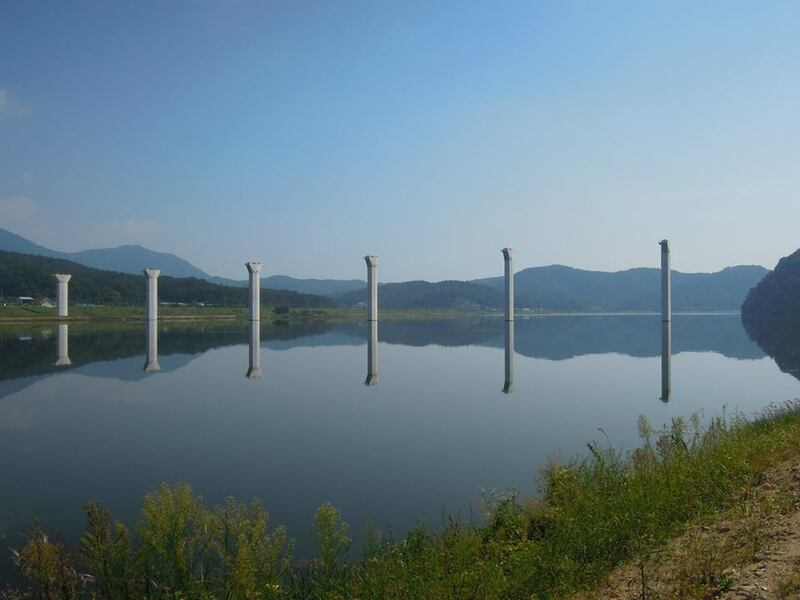 From Hadan Station, which is very close to the end of the route, (less than 1km) the subway to Busan Station only takes twenty minutes. Hi, lots of info and adventure packed in there. 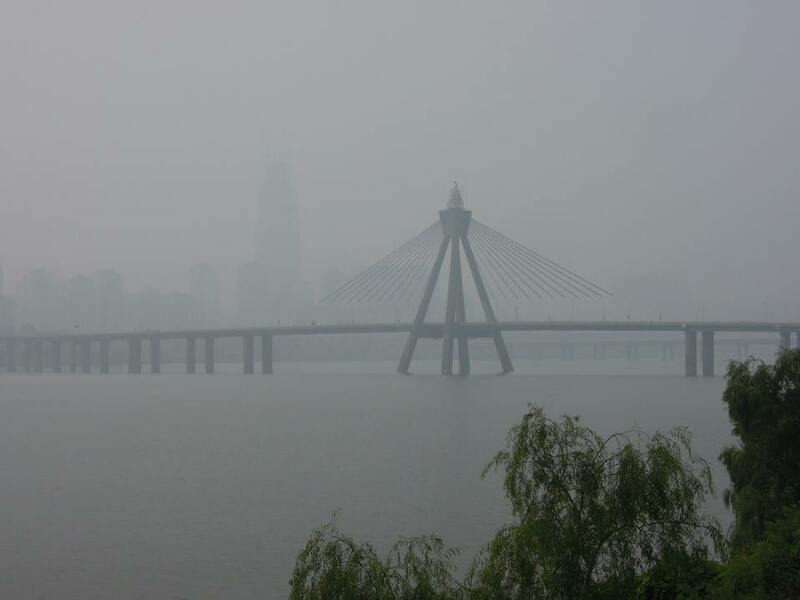 I’m planning a similar trip from seoul to busan myself and was wondering if you would recommend road clinchers or cyclo-cross tires that are wider with better grip? Were there many or long stretches of gravel and dirt that a road tire wouldn’t do well on? Thanks!! 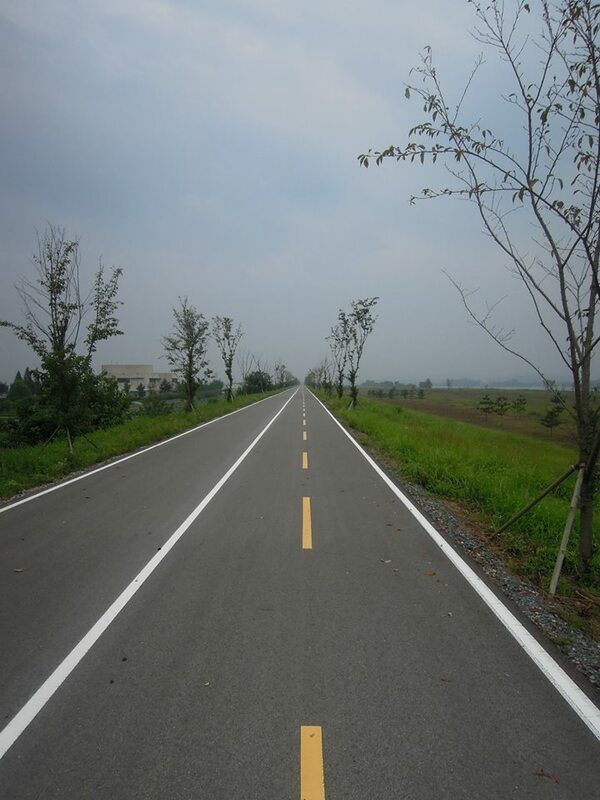 In general the route is well surfaced, either concrete or tarmac. The worst section (north of Hapcheonbo) is off-road jeep trail, but this is a dedicated off-road course and I should have been on the other side of the river where the path is smoothly surfaced! Road clinchers will be adequate, although I wouldn’t recommend less than 25mm. Cyclocross tyres would be fine and might make your overall journey slightly more comfortable.